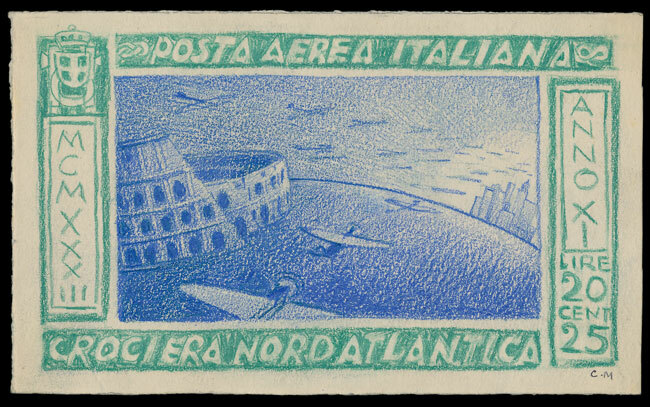 Warwick and Warwick are pleased to announce that their auction of May 1st will feature an outstanding array of Italian Proofs, Essays and stamps. In particular it will feature the remarkable archive of original stamp design artwork by the great stamp designer Corrado Mezzana. Corrado Mezzana was an accomplished artist, scholar and curator. 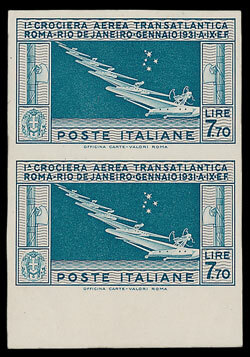 He designed many Italian stamps of the 1930s, 1940s and 1950s, as well as some issues for San Marino and Vatican. The Italian Post Office recognised his contribution by issuing a stamp bearing his self portrait in 1990 (the centenary of his birth). 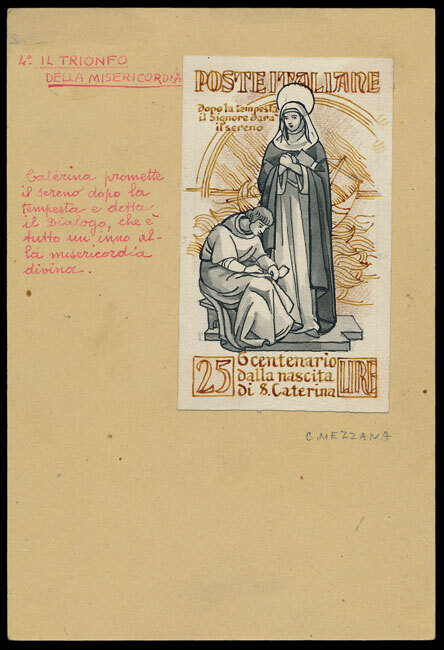 His archive of original artwork was purchased during the Second World War, by Major General Edgar Erskine Hume, the distinguished surgeon, and army officer, and who was the Chief Medical Officer for the Allied Military Government in Italy at this time. His descendants have now decided to sell his collection. The catalogue for this auction will appear on the Warwick and Warwick website www.warwickandwarwick.com in early April, free printed catalogues are available on request. Please contact Ian Hunter ian.hunter@warwickandwarwick.com for catalogue requests, or further information.